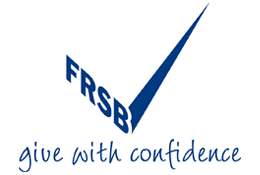 We are members of the Fundraising Standards Board (FRSB) self-regulatory scheme. The FRSB works to ensure that organisations raising money for charity from the public do so honestly and properly. As members of the scheme, we follow the Institute of Fundraising’s Codes of Fundraising Practice and comply with the key principles embodied in the Codes and in this Promise.